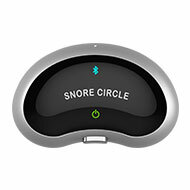 The device adopts bone conduction and sound recognition technologies to accurately recognize snoring. (ranging from weak to strong). This stimulates the muscles of the throat to contract to adjust the state of the user's breathing. It is recommended to use the device continually for a 1-2 week trial period. people with skin ulcers on the site of adhesion; pregnant women or those in labor; and children under 16. Do not stick this product on the eyes or any other parts of the body. An innovative solution designed to help every user sleep quietly! 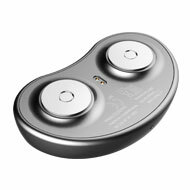 The Smart Electronic Muscle Stimulator has been tested by more than 60 snorers at the Southern University of Science and Technology By using TENS technology to stimulate the respiratory muscles, it has been proved to effectively reduce the number of snores and even stop snoring altogether, allowing you to sleep peacefully! The magnetic electrode patch is made of medical material and features hypo-allergenic and high adhesive properties. It is comfortable to wear, secure and does not fall off easily. * Note: Patches are disposable and for single use only. Connect the USB charging cable to the charging base, and then place the device in the base for charging. It takes about 2 hours to fully charge, after which it works for more than 15 hours. * Note: This device uses a rechargeable polymer lithium battery. We hope our products can help you achieve good-quality sleep! Run time : Which it works for more than 15 hours.